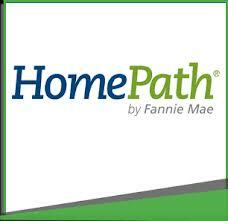 HomePath is a resource offered through and operated by Fannie Mae. Fannie Mae, technically the Federal National Mortgage Association, has a primary mission of expanding the secondary mortgage market by securitizing mortgages. This is accomplished through the use of mortgage-backed securities. According to Fannie Mae, a major part of its mission is to provide an array of financial products and services that are designed to enhance the availability as well as the affordability of housing for low, moderate and middle income individuals in the United States. HomePath offers an array of different services designed to assist people who are interested in purchasing or investing in residential real estate that is heading towards or actually in foreclosure. An overview of the benefits and possible drawbacks of HomePath can assist a potential foreclosure real estate investor in determining if the Fannie Mae resource is suitable to his or her needs, goals and objectives. One of the primary services offered through HomePath is an informational clearing house on the availability of foreclosed properties (or properties that are heading into foreclosure). Because of the ubiquitous nature of Fannie Mae in the U.S. real estate residential marketplace, the home finder and listing of available foreclosure real estate through HomePath is perhaps the most comprehensive compilation of its kind anywhere in the United States. Unlike many similar types of listing clearing houses, HomePath is a comprehensive resource for properties across the United States. Most other listing resources more often than not focus on local or regional marketplaces. Financing the purchase of foreclosure real estate is not always the easiest endeavor. Not every financial institution readily provides financing for these types of purchases. One of the other important resources offered by HomePath is an updated list of different sources of financing for the purchase of foreclosure real estate. This includes financing sources that focus on people who want to invest in foreclosure real estate and sources that cater to individuals that want to purchase a foreclosed property to become their primary residence. In an effort to truly attempt to be a one stop resource for all things related to foreclosure real estate, HomePath also provides a directory of different types of real estate professionals. This includes agents, brokers, title related services and other professionals. In addition, these real estate professionals are individuals who focus their efforts in the foreclosure real estate market. A growing number of people desiring to invest or otherwise purchase foreclosure real estate are interested in short sale availabilities. Yet again, this is another area in which HomePath is a useful resource for investors and others. HomePath provides information about real estate that potentially is available for a short sale. In addition, it provides related resources to assist an investor or person interested in purchasing a home for his or her self, including resources associated with financing this type of real estate transaction. Overall, the various elements, resources, tools and services available via HomePath are all positive. Perhaps the only potentially negative aspect of HomePath rests in its association with Fannie Mae. With increasing regularity, members of Congress and others are proposing eliminating Fannie Mae or terminating its operations. Although it is hard to determine how much traction these proposals have at any given point in time, in theory the elimination of Fannie Mae potentially could result in the shutting down of HomePath. On the other hand, because HomePath truly has received high marks from people in and out of the real estate industry, it is very possible that even if Fannie Mae one day ended up being shuttered, HomePath would carry on independent of the secondary mortgage market enterprise.